American has announced a huge schedule change today, where we’re seeing a lot of routes getting their plans swapped out. Given how inconsistent American’s longhaul fleet is, this means you may find yourself in a different seat than you expected. Even though it’s only seasonal, American flying their international longhaul aircraft from Phoenix and Los Angeles to Honolulu is great news. 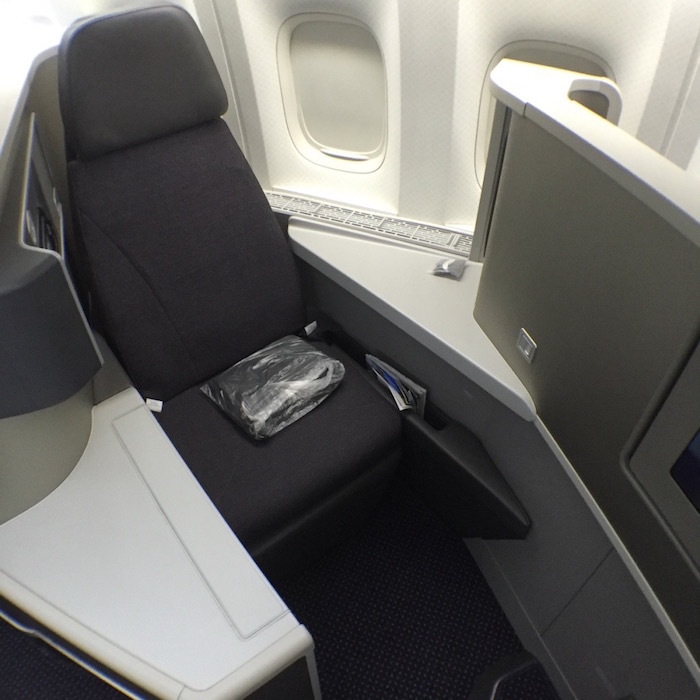 From Los Angeles to Honolulu you’ll be able to fly American’s 777-200, which features fully flat seats and direct aisle access in business class. 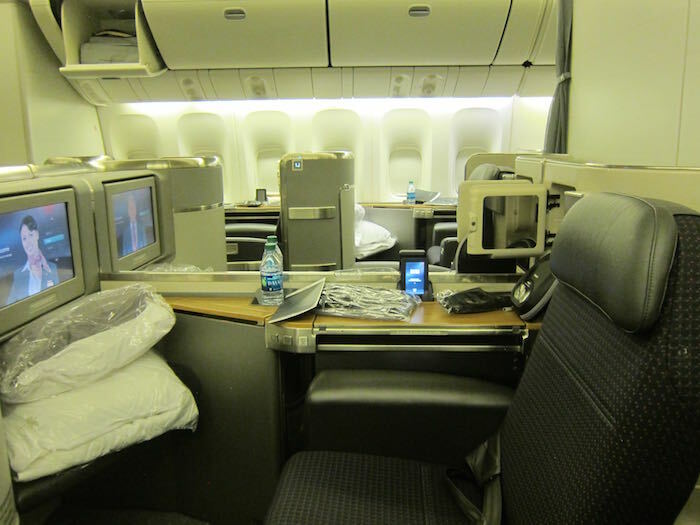 The same is true of the A330 from Phoenix to Honolulu, which has reverse herringbone seats in business class. So if you’re going to Hawaii in peak season, this is something to be excited about. I’ve heard yields haven’t been good on American’s Sydney flight, though this is a massive reduction in capacity. They’re losing a total of 30 business and first class seats per flight, which will make upgrades significantly more difficult. The only silver lining is that the 787-9 has a premium economy cabin. It’s interesting to see this, given that American introduced special enhanced service on their flight to Sydney. I even flew American from Sydney to Los Angeles shortly after the route was launched, and was very impressed by the service. American is also seasonally suspending their flight to Auckland, but then is using a bigger plane for the route in peak season. This exactly mirrors what United has done. Is this a reflection of demand or a sneaky game? As I explained earlier, American and Qantas were recently prevented from expanding their transpacific joint venture by the Department of Justice. They explained that this could cause them to cut some routes, given that they launched these routes under the assumption that the expanded joint venture would be approved. Now that a new administration is in office they’re refiling their application, hoping that a Trump administration will look upon this more favorably than the Obama administration did, and approve their application. So it’s also entirely possible that this is part of their strategy to create a compelling case for why the joint venture should be approved. They can argue that they’re cutting capacity to Australia and New Zealand, suspending routes, having to cut back benefits for frequent flyers, etc. They’ll have a much easier time arguing that the joint venture expansion is in the interest of consumers if they take something away before doing so. I suspect that’s exactly what’s going on. Given the economy in Brazil, I also have a hard time imagining that the 777-300ER will be better utilized there. Is anyone impacted by any of the above service changes? I am not impacted, but this is definitely disappointing if it’s a more long-term plan rather than positioning for the expanded joint venture. Not that you really ever find premium cabin awards on any Australia routes with any consistency. But, that is a pretty dramatic loss of business & first seats. That won’t make it any easier. If they’re concerned about low yields on the Sydney flight, how about opening up some award availability? Do you have the change in seats between the 787 and 777 to Sao Paulo? I flew on Premium Economy on that route and all I can say it is better than flying Economy but I would not pay what AA is charging for that (I was able to get it for less than $100 extra last November due to elite status). You get a similar bad food you get on Economy but placed on a nicer tray, you have to use the Economy bathroom, seat is wider but recline and footrest is a joke. Regarding your comment on Brazilian economy you are correct that it is a disaster but the local currency has appreciated a bit so it is a little better for Brazilians to fly. Also, AA only flies from GRU to MIA, JFK, DFW and LAX so the DFW is probably the best one for people connecting to the Midwest. I’m impacted. Flying 5/29 to Sydney and back on 6/15. Curious how seat assignments will work now, but is it safe to assume they won’t have Premium Economy? That said, I’m hoping that whatever benefits that can be gained from the 787 will make the flight that much more bearable. I’m booked to fly LAX-SYD in Business in November around Thanksgiving. I was looking forward to the 777-300. Do I have any options? Flew 787 from AUK-LAX with husband in business last October. Worst crew ever. Waste of points. Flew LAX-SYD in first…..husband and I liked it, but it wasn’t up to standard compared to Qantas first class….the divider was broken, so traveling as a couple was moot. The crew was great though. Wow – the SYD downgrade is a big surprise. No wonder we weren’t seeing any premium awards on AA (nor QF) for early next year (2018). Oh oh. Does this mean the end of the 77w lax-Mia? @Lucky I was in F with you on the SYD-LAX flight last year, and agree it was impressive. Hate to see the aircraft swap. Also hate to see the suspension for AKL. Was really hoping to head there over Labor Day week, but I suppose I’ll need another means now. This is all just positioning for the “common man” Trump administration. @Ben/Lucky, why do you consider a change from the 777 to a 787 a downgrade? Is it just the number of seats, or, is it the cabin interior? business class seats are inferior (it’s not just a 777, it’s a 77W (also called 777-300ER) which has the great Zodiac business class seats), fewer business class seats for upgrading, no first class. The seats in business class on the 787 are poorly designed. If you fly in the back, it may be better given premium economy. @SullyofDoha – No F cabin and reduced number of J seats on 787, hence a downgrade. Aussies aren’t going to fly a US carrier full-stop. This is why they’re changing Sydney’s aircraft type! I have two RT first class tickets from LAX/SYD in December. I booked this using about 1m miles since my dates were very specific and that is all that was available. Should I wait to contact AA, or will they reach out to me? How many miles should I expect to receive back? The awards were between 300k and 340k each, OW. Sorry – I should have waited before submitting that. FWIW my reservation still shows first, still shows assigned seats in first, and aa.com is still selling first tickets for LAX/SYD that day on that day on a flight indicated as a 77W. United has already swapped the 767 to the 777 back on 2 routes to GRU a couple of months ago (EWR and ORD; IAD and IAH are still on the 767-3/767-4). I flew to IAD and ORD this year, all full flights. And 2 weeks ago, flew Delta GRU to JFK (767 too) and also every seat taken. Has there ever been a merger Trump wouldn’t approve? Hard to imagine he’d care enough to bother lifting the rubber stamp himself. I can’t wait until the US has only one domestic airline and hotel chain to choose from. Would be hilarious reading about trying to get award rooms and seats. Americans voted for a United Airlines style blame-the-victim government and that’s precisely what we got. I hope President Monopoly Man shows no mercy in hastily dismantling whatever is left of our former leverage as consumers. 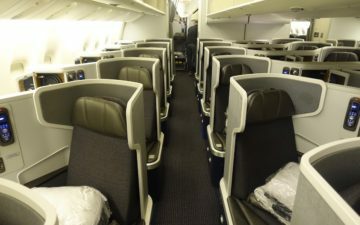 @Rob when the schedule change change is made, you will be placed in business class and you will need to contact AA to have your miles redeposted free of charge. Wait tell you put in business, maybe the change will be delayed. They are still showing 777-300 on LAX-SYD and selling F seats. AI: American’s contract of carriage allows you to change/cancel your flight if they change equipment and it’s not acceptable to you, so go to them with that and see what you can do. the 787-9 has 29 business class seats because with a 4 man cockpit crew one of them is used for crew rest. I hope this is a seasonal thing and they bring back the 777-300 for LAX-SYD. More J seats = a better shot on SWUs. Personally I much prefer the 777-300 to the 787s. Interesting aircraft upgrade for the PHX-HNL route (seasonal). I think the only other widebody flight out of PHX is the British Air flight to LHR on a B747. Aaron, it’s only 8 seats in F anyway so removing those alone would not be a downgrade. I suspect those seats are often empty or filled with people on awards and upgrades. And airlines make more money from J than F, which is why F often doesn’t exist. Finally, a flat bed from PHX to HNL….Hope HA will match…no more 757 and 767 please….. I have the LAX-AKL flight booked in Sept. So will my flight be cancelled? I haven’t gotten any notification from AA. This is so annoying, American does this all the time and it gets on my nerves. I once bought premium economy LAX-GRU and they changed the plane last minute and I got stuck in economy. Still no refund to this day. Regarding Brazil’s economy, I can tell you travel won’t be impacted. Brazil’s rich will never stop flying if they can. The country is top 5 in number of tourists in the US, so…I doubt it. @lucky Do you think that when American refits their 77Ws with premium economy they will bring the aircraft back on the LAX to SYD route (given that Qantas operates their four class A380 on the route and American will be the only US Carrier with four classes I could see them operating the 787-9 until the 77Ws have premium economy installed)? Is this a reflection of demand or a sneaky game? With American Airlines, you can be assured it is a sneak game. They hate customers and buyer beware. I think AA would be happier to fly an empty plane and not deal with customers. 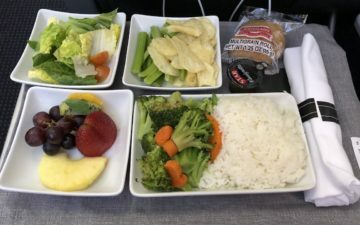 I fly return LA to Sydney every few months for work and have been super impacted by all the changed American has made recently in terms of miles earned, status tiers and now the downgrade of the flight. I used to get upgraded on all flights to and from Sydney when flying out of high seasons, which meant I have become a super loyal AA member. But just as I flew back now in the beginning of December I didn’t get any upgrades (no where near in fact) and the service and experience on the new plane was straight up horrific. I will be looking around for another airline who might want to status match – any ideas?